I wonder if you can just wait until the guards contract malaria? With all the craziness surrounding this fall's game releases, it's easy to forget that Hitman 2, the sequel to one of the most unexpectedly good games of 2016, will also be available. More importantly, it'll have its very own co-op mode! Just how will IO Interactive manage to one-up their 2016 hit? From what we know so far, the gameplay itself will remain largely unchanged (why mess with a solid formula? ), and the focus instead will be on more exotic, expansive locales, new ways to land that perfect kill, and of course, a little co-op action. 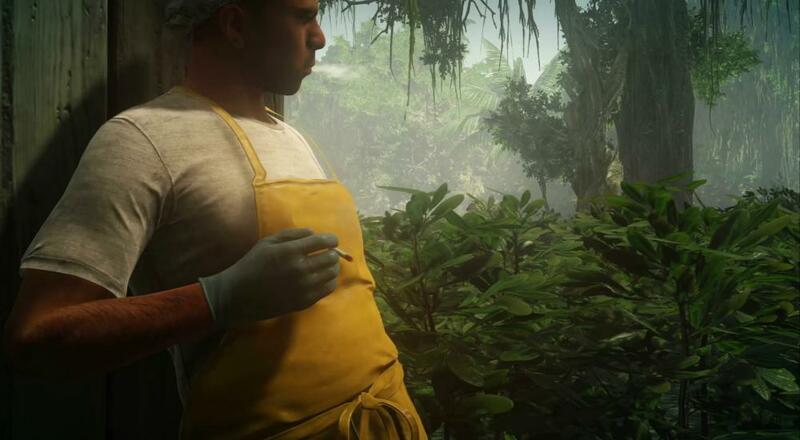 While the below teaser doesn't show off any co-op gameplay, it does give a peek at one of Agent 47's next destinations: Colombia. When it releases on November 13th of this year, Hitman 2 will feature two player online co-op in the form of the "Sniper Assassin" mode. In it, two distinctly non-Agent 47 characters, Stone and Knight, must work together to snipe specific targets within the allotted time period. While the mode will be available to everyone for the game's full release, folks who have pre-ordered can gain immediate access. While it's slightly disappointing to see co-op cordoned off into a non-campaign mode, I'm just happy for chance to play with a friend in anything resembling the stellar gameplay of the revitalized Hitman series. If you've already pre-ordered and have some experience in "Sniper Assassin", feel free to let us know your thoughts on it down in the comments. Page created in 1.1156 seconds.